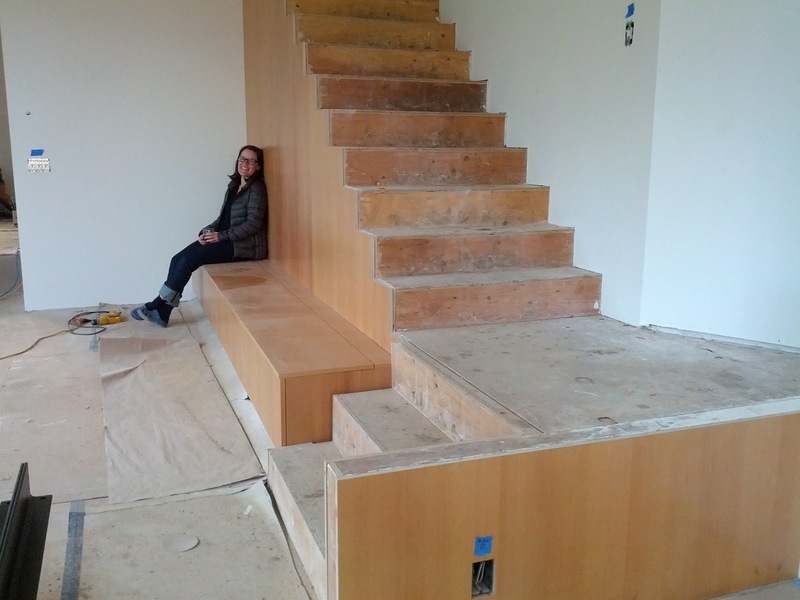 Dining room seating bench, with veneered wall at the stair. 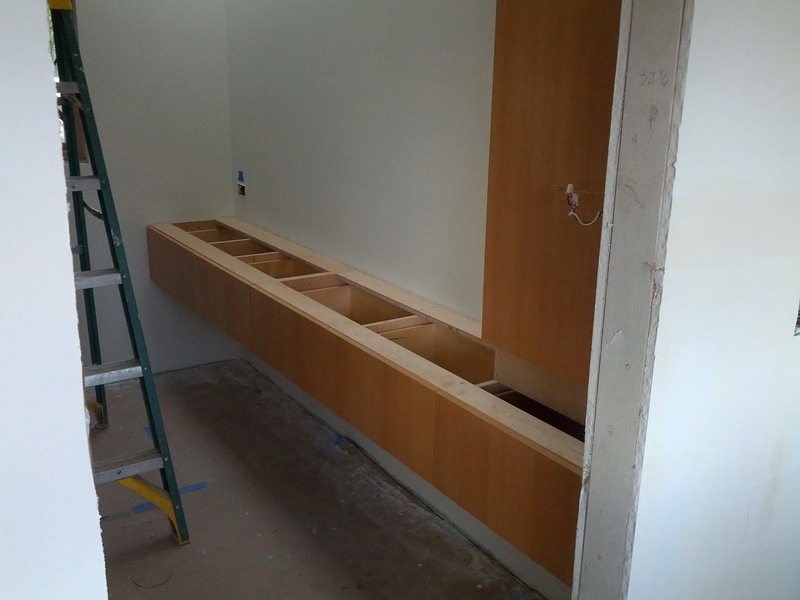 The first phase of the cabinet install is complete. 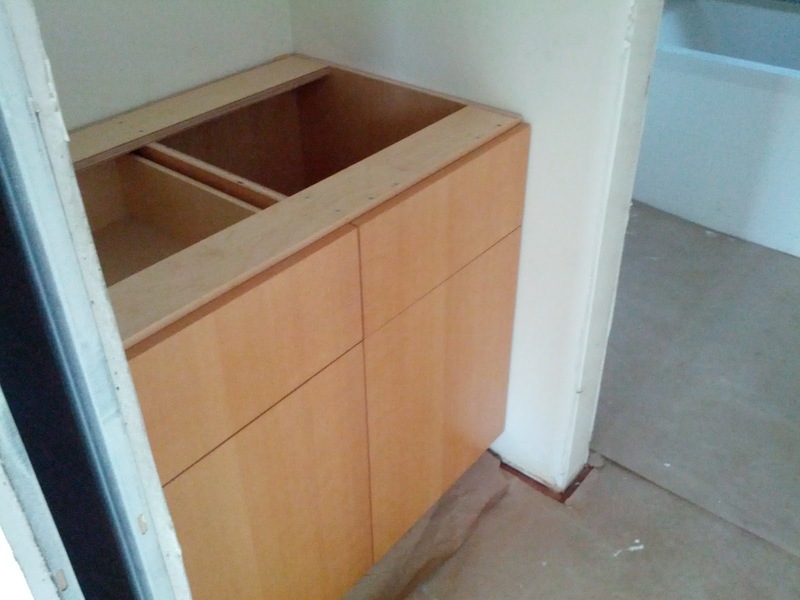 - Phase 2: Kitchen cabinets (delayed due to damage). 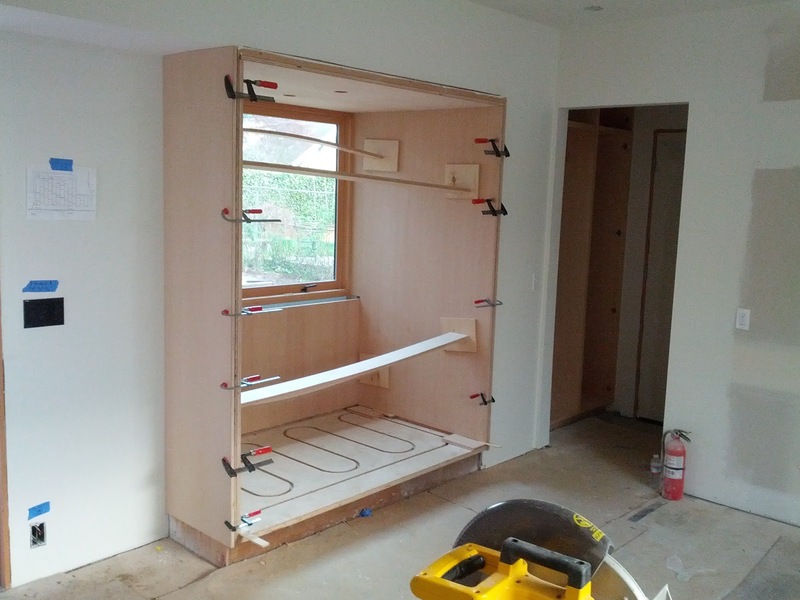 Breakfast Nook veneer panel glue-up.